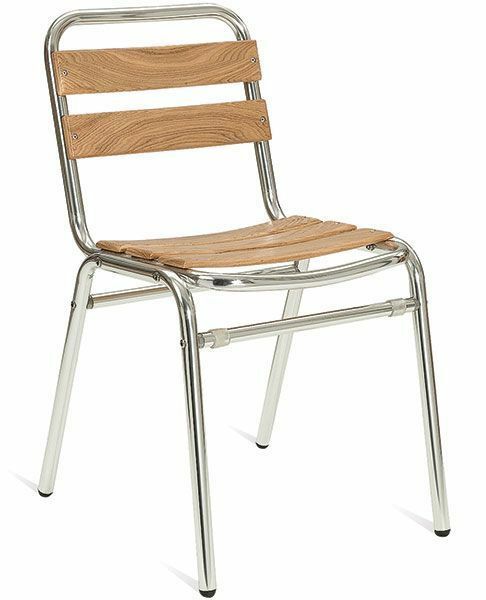 Aluminium side chair with teak slats and a hard wearing Aluminium frame. Available from stock for fast and free delivery. Lightweight and stackable. Designed for outside commercial applications. 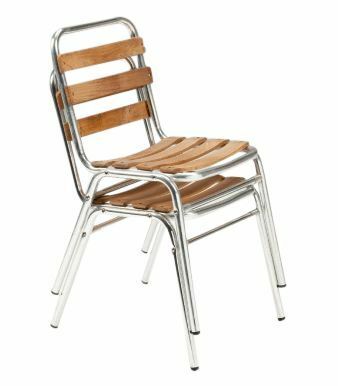 An economically priced outdoor café chair with an aluminium frame and teak slats. Suitable for commercial use and available on a 2-3 day lead time. Free United Kingdom delivery.